by starting in your own backyard. 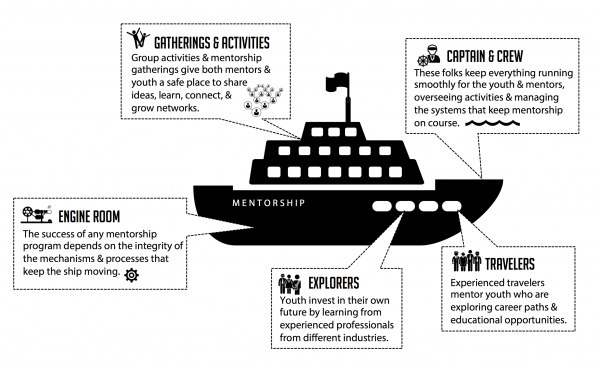 Mentorship is undeniably important, but let’s face it…sometimes it just doesn’t work. You sit across from each other. You don’t know what to say. Awkward. You make a great connection, but never reconnect. Pointless. This experience is different. We value your time & interests. We make mentorship meaningful & easy. STEP 1: Get 2-3 colleagues together & show up for 4 hrs. STEP 2: Facilitate group mentorship sessions that are career-focused. STEP 3: Have fun, learn new things, and mentor high school kids in a group setting.